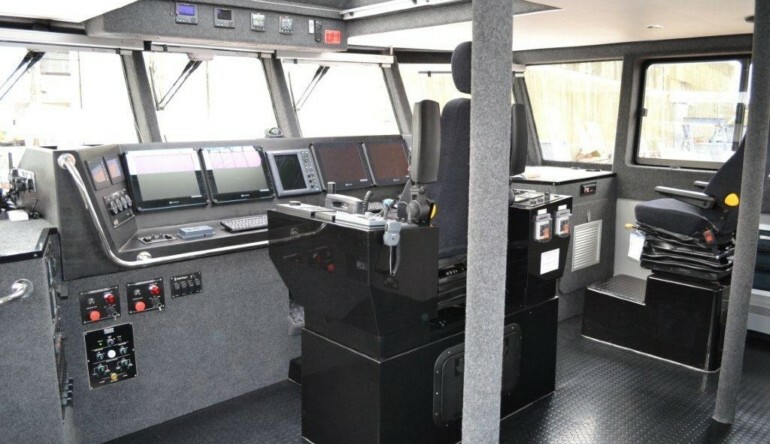 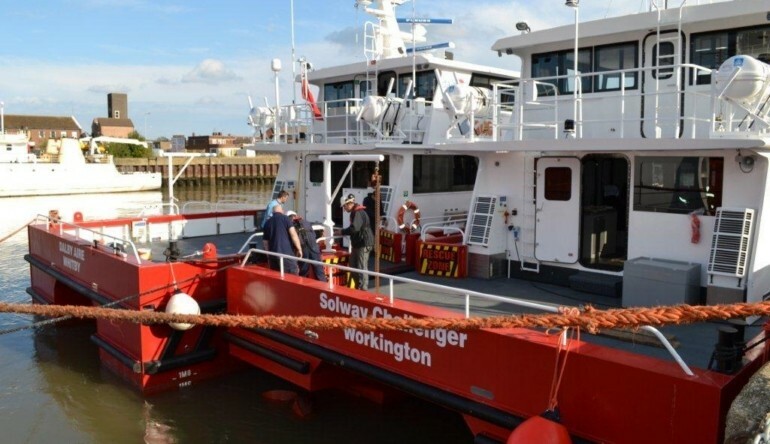 This is one of the very latest of the highly successful and ever growing family of Global Marine Design Wind Farm Service Vessels marine kits assembled by Alicat Workboats for the UK offshore wind farm market. 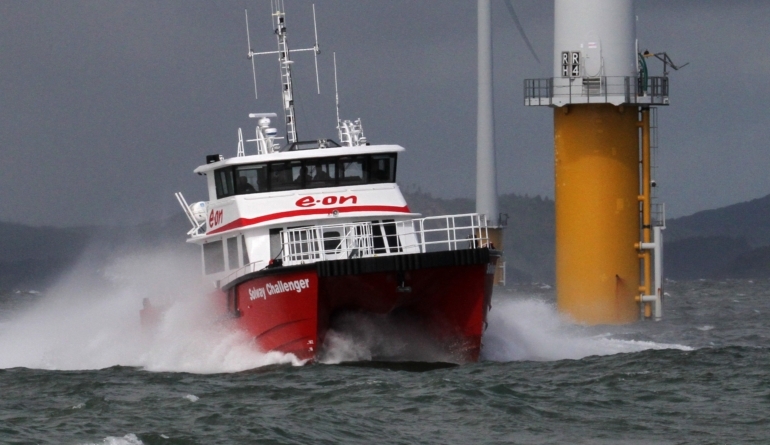 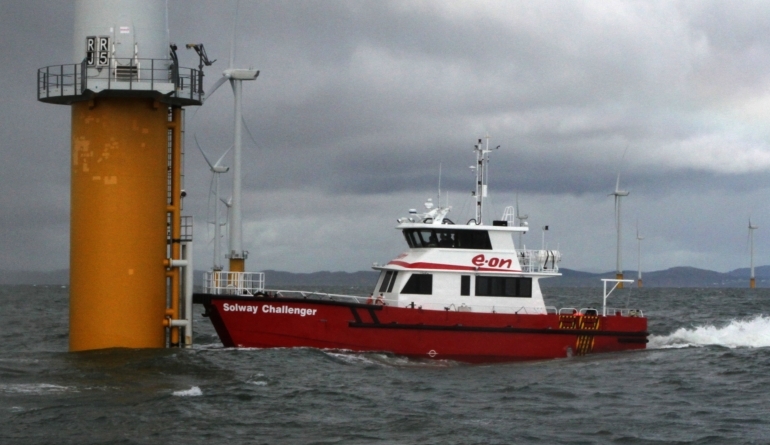 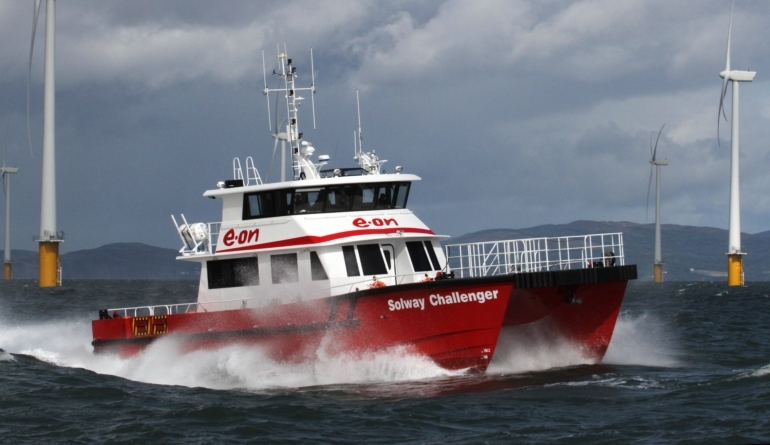 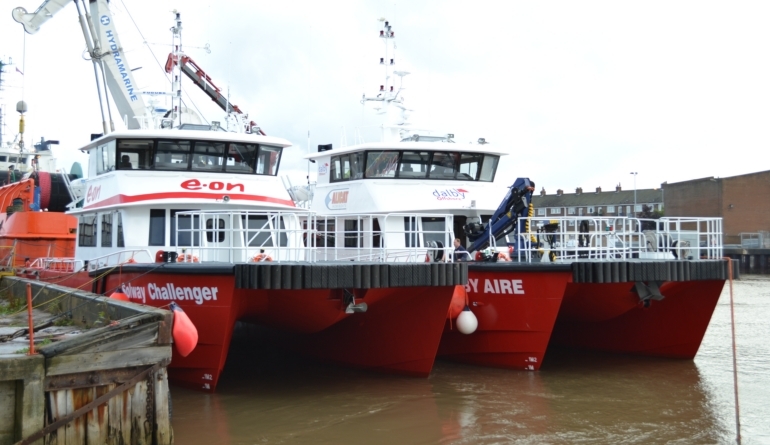 “Solway Challenger” is a genuine 29 knot (loaded), Twin Waterjet and V12 MAN high speed ‘rough water’ Wind Farm Service Vessel (WFSV) for the UK and European Energy Sector. 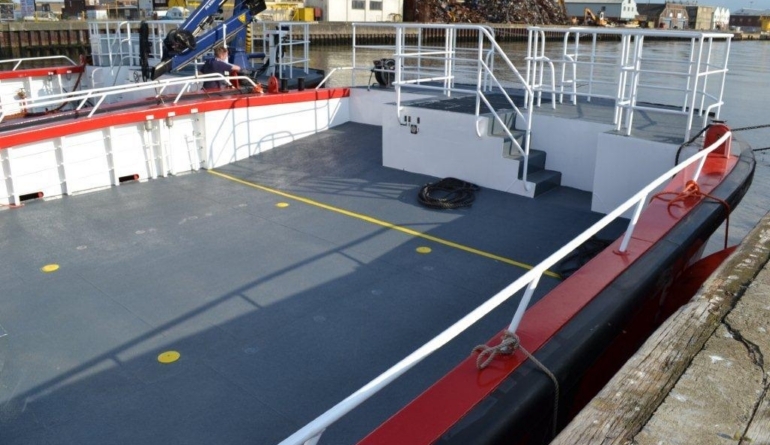 Deck Cargo Capacity is 7 tonnes.